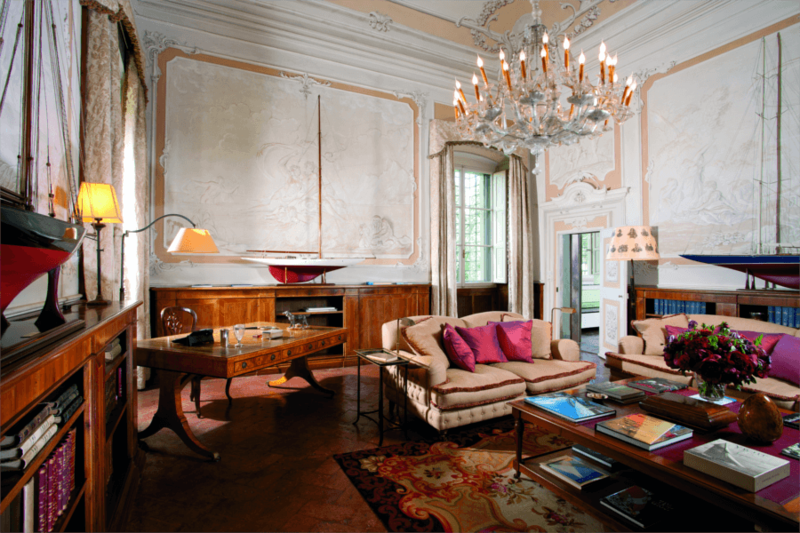 The Villa is a Renaissance villa, originally commissioned by the marquess Niccolò Antinori in the Fifteenth Century. 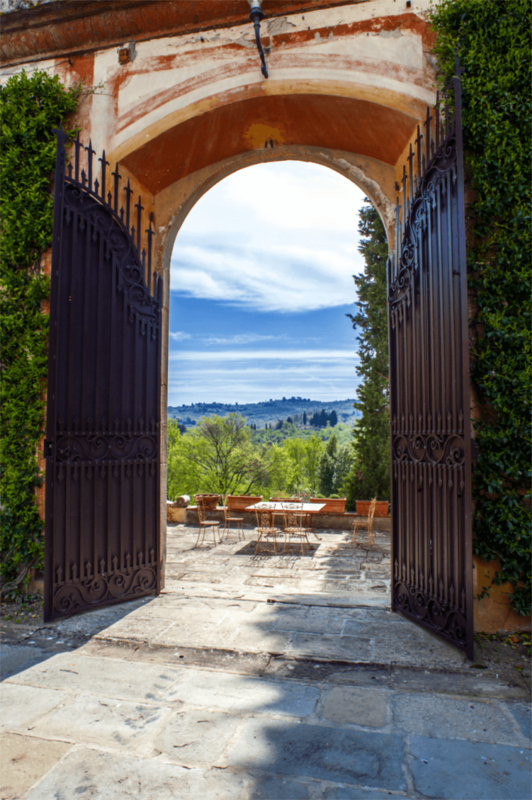 It sits at the end of a driveway lined with cypress trees on the southern hills of Florence, just ten minutes from the city centre. Over the centuries it has undergone numerous improvements and renovation work. 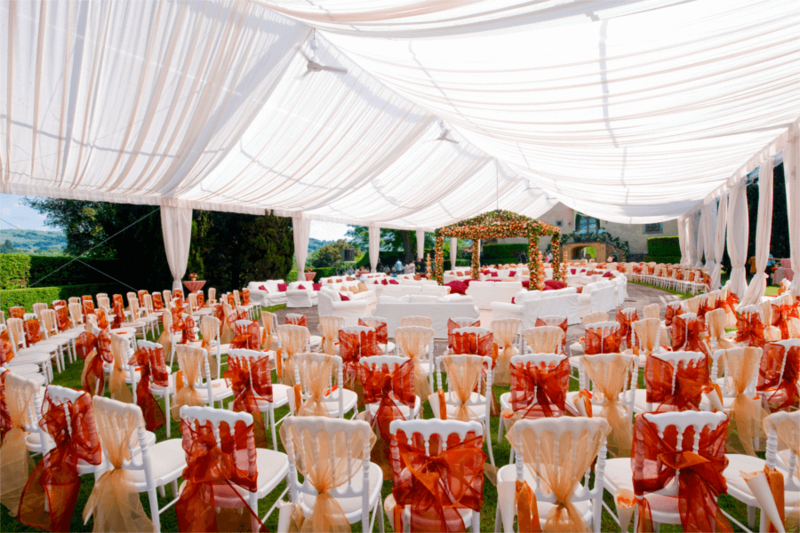 Its overall Renaissance character and details sets it apart from any other villa in its category. 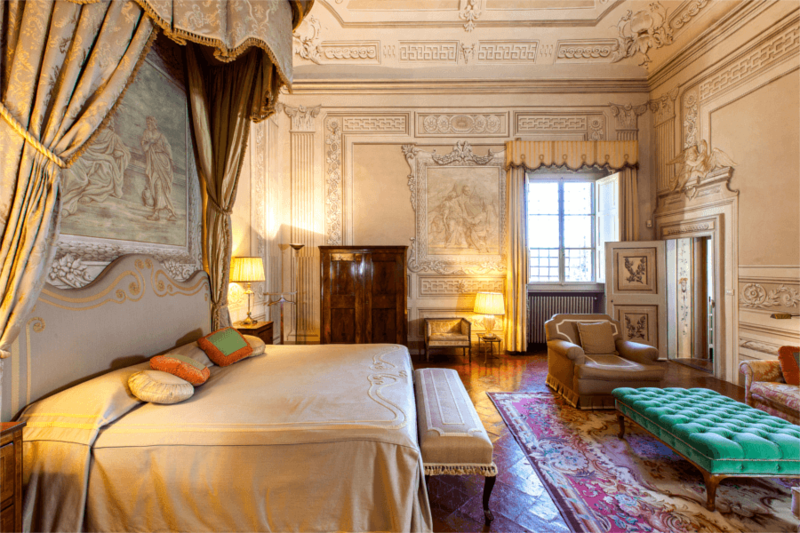 The layout of the Villa is typical of aristocratic Renaissance villas. 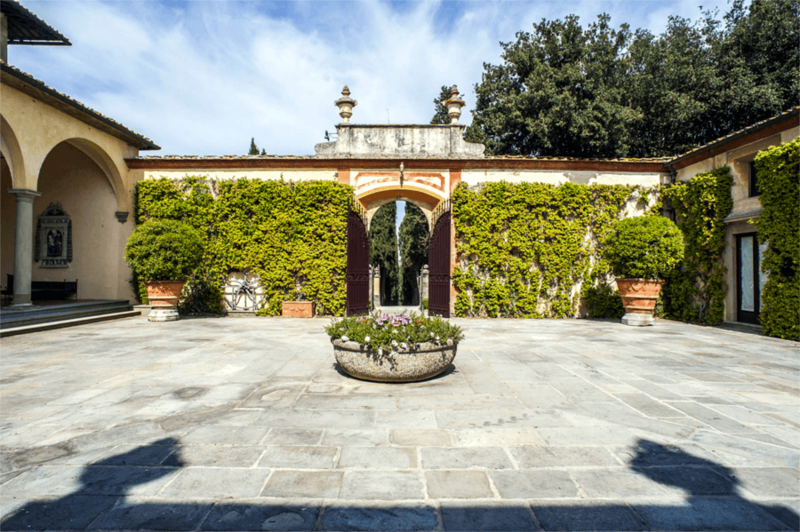 It is centered around a paved courtyard, surrounded by formal gardens and set in a productive agricultural landscape. 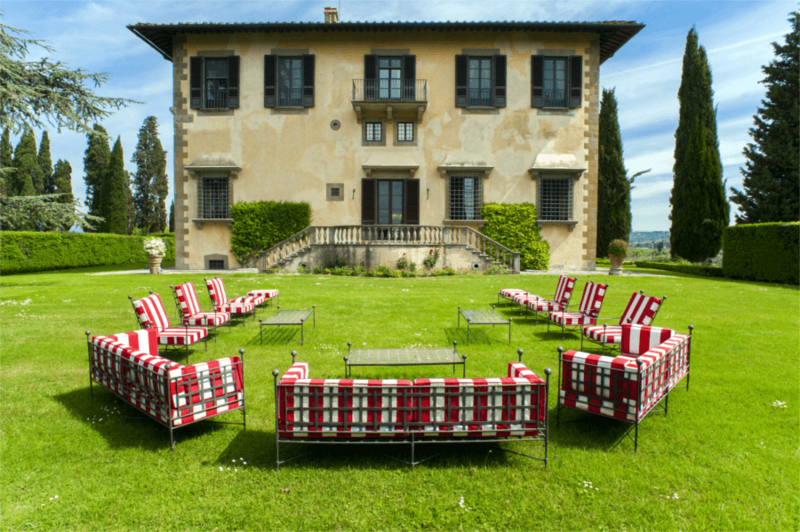 The villa itself measures 1000 square meters and sleeps up to fourteen guests in seven bedrooms. The two gardens on either side total 1200 square meters. And an eleven hectare park, including a lake, surrounds the property. The Loggia plays a central role to the villa’s layout, bridging the walled courtyard outside with the internal living quarters. The courtyard features terracotta vases and jasmine climbers. The Loggia houses two seating areas and a Madonna and Child ceramic plaque from the Renaissance school of della Robbia. 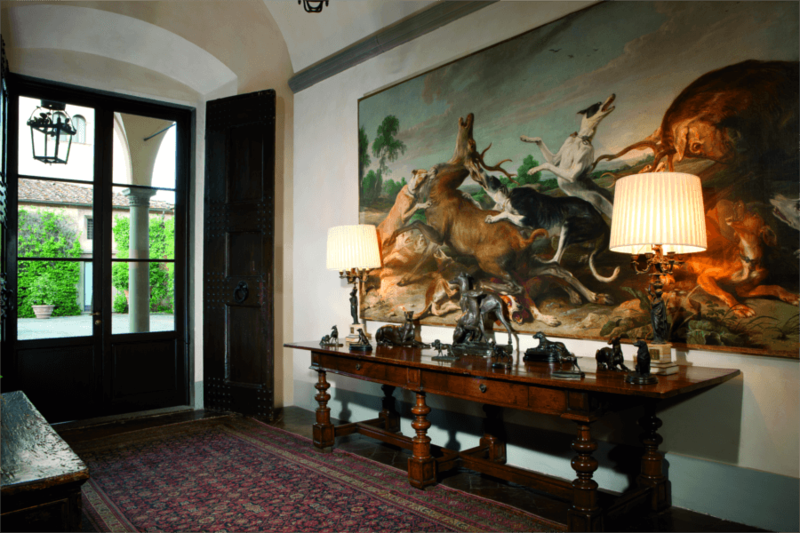 The entrance hall welcomes guests with adorned mirrors, a Seventeenth Century oil painting of a hunting scene, and a Sixteenth Century wooden table bearing a collection of bronze coursing dogs. The Ballroom, also known as the Salone delle Feste, is one of the oldest rooms in the villa. Although records indicate that it was frescoed in 1629, art historians confirm that the pale green used, a colour favoured by the Hapsburg House of Lorraine, was not common in Florence until after 1700. 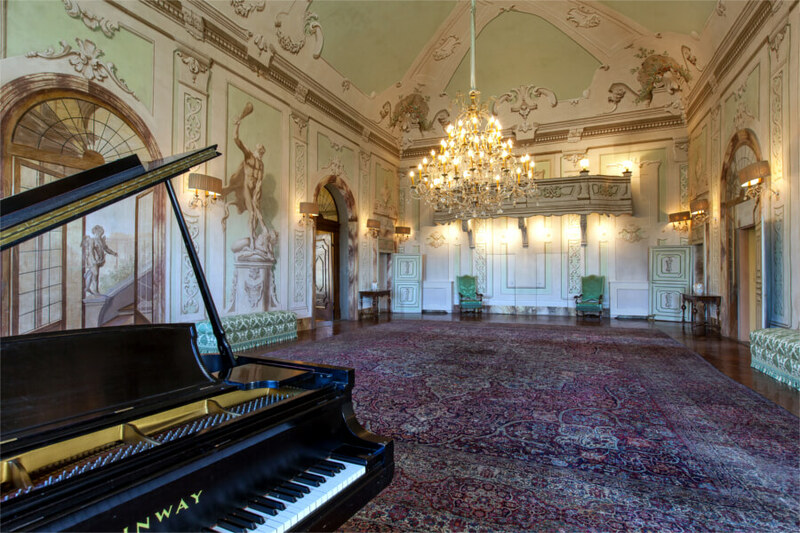 The Ballroom features a minstrel’s gallery for performing musicians, and a Steinway grand piano which was played by the Russian virtuoso Anton Rubinstein at a private concert in 1961. 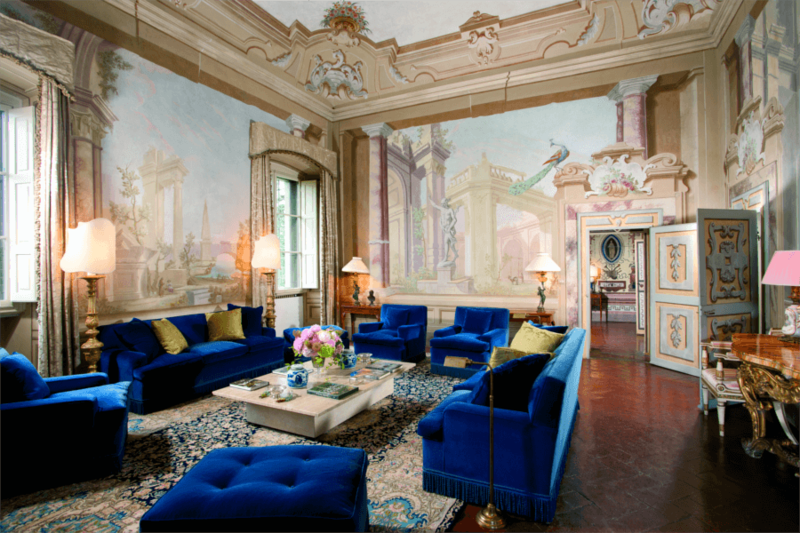 The Blue Living room was originally a bedroom in the Sixteenth Century when the villa belonged to the Antinori family. Today it serves as an informal living room. It was frescoed around 1780, on the cusp of Romanticism, with picturesque landscapes and classical ruins as was common for the period. 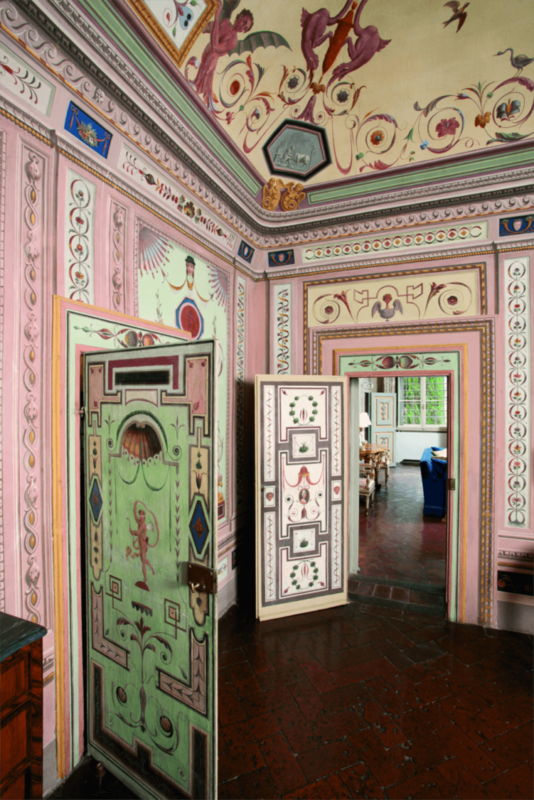 Facing the Cedar Garden, this small sitting room was entirely frescoed with grotesque motifs in the Nineteenth Century. A curious feature of the room are two small portraits of the villa’s past owners, most likely the Boissevain, which were added in the middle of the last century. 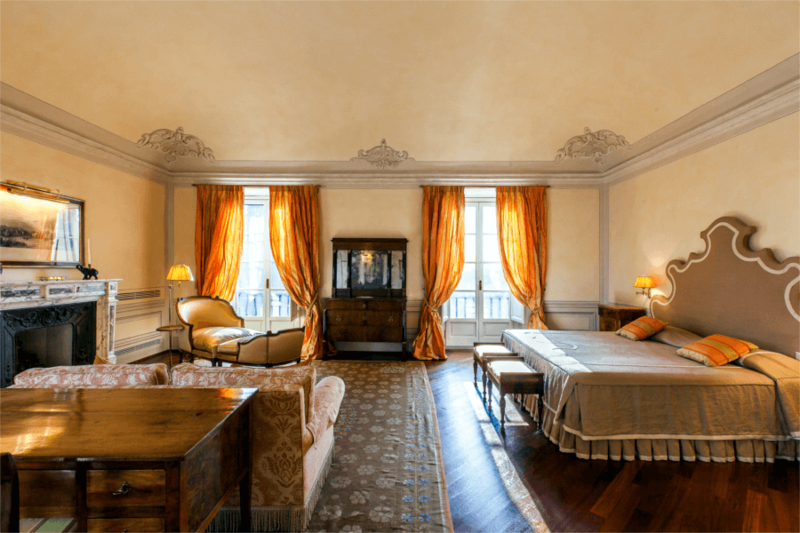 The Baldacchino Suite is the only remaining bedroom on the ground floor as originally planned by Niccolò Antinori in the Sixteenth Century. The walls are decorated with frescoes depicting Old Testament scenes. Research has dated the work to 1730. The Baldacchino bathroom is frescoed with grotesque motifs from floor to ceiling and finished with a rare portoro marble noted for its unusually wide veining. The bathroom is composed of two rooms. The first features a bath with antique crystal fittings, a handbasin and a fireplace. The second room, which is also entirely frescoed, houses the shower. The Studio was decorated at the same time as the blue living room. It features frescoes in a monochromatic neoclassical style with a trompe-l’oeil effect that mimics a bas-relief. The frescoes are framed in elaborate stucco reliefs. 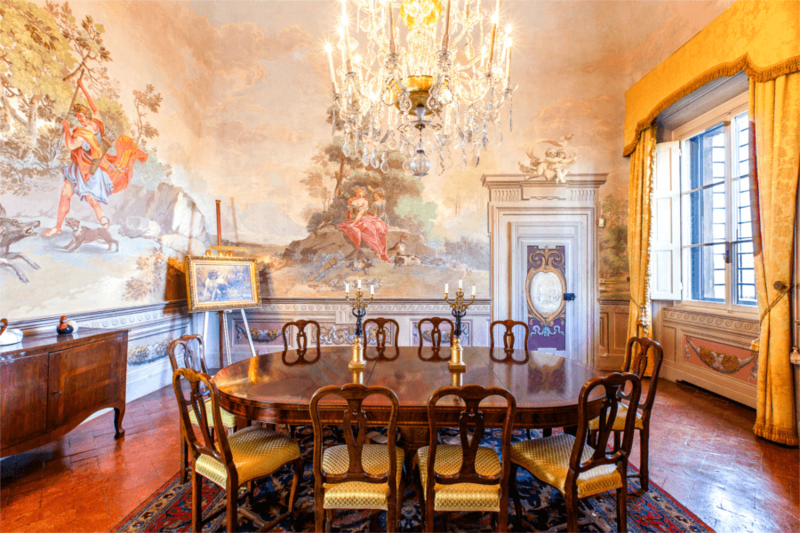 The Villa and the Florence Charterhouse, just minutes away from the villa, are the only two historic buildings in Florence to house this style of fresco painting. The Dining Room accommodates up to twenty seated guests. 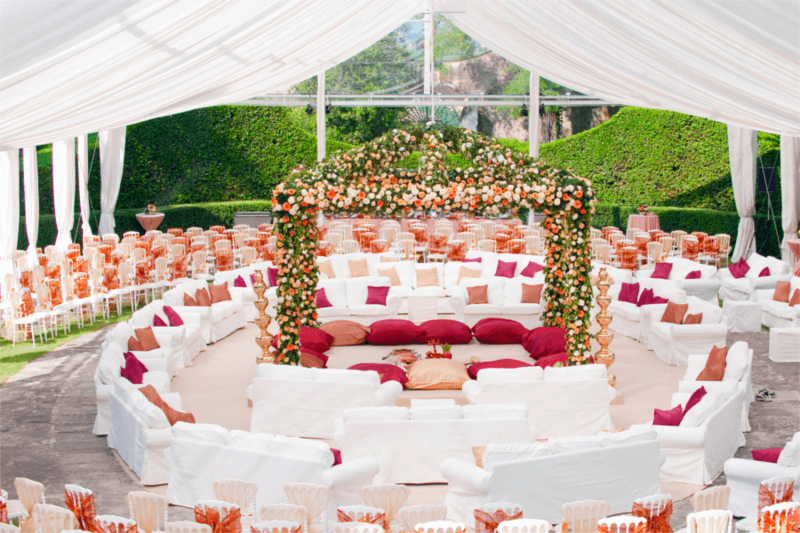 A large, five-tiered crystal chandelier with tear-drop and prismatic pendants hangs in the centre of the room. Around 1700 the dining room was frescoed with the myth of Diana and Actaeon. It depicts how Actaeon, while hunting wild boar, chanced upon Diana bathing. Incensed by the transgression, she turned him into a stag that was duly set upon by his own dogs. 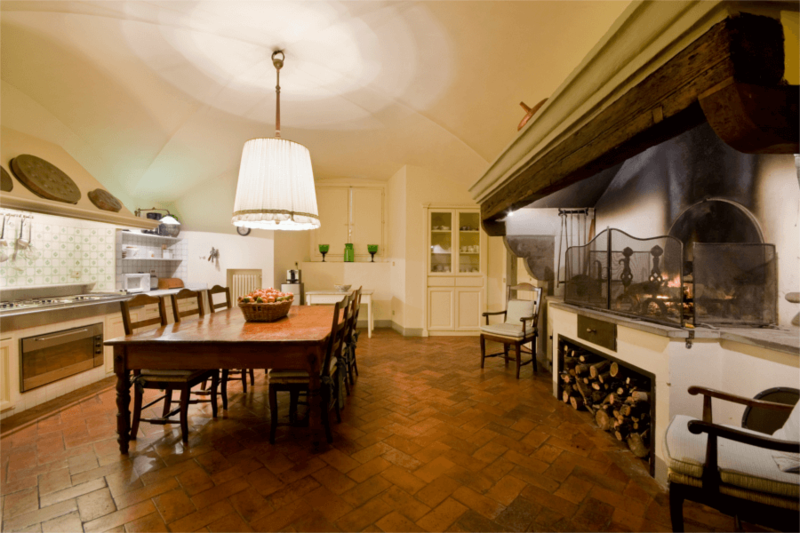 The open-plan kitchen on the lower floor is spacious and bright, and features a traditional Tuscan fireplace and bread oven. It offers all modern amenities, including a dishwasher and plenty of food storage space. The whole lower floor maintains its original Fifteenth Century appearance, complete with barrel and cross vaulting. This powder room was originally the en-suite bathroom to a bedroom that was long ago converted to a living area. The original Seventeenth Century grotesque frescoes still adorn it. The villa’s basement includes a 130m2garage which can house two to three cars. The Roses Bedroom : This was one of the first bedrooms created on the first floor during restructuring work in the Nineteenth Century. Favoured for its prime position, it overlooks the central courtyard on one side and the surrounding countryside on the other. 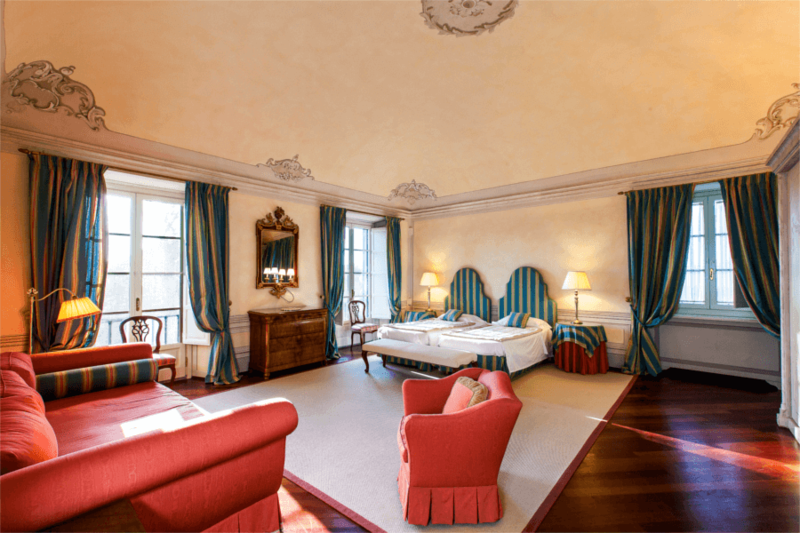 The Green Bedroom : The largest suite in the villa. It owes its name to the green Eighteenth Century furniture in the hallway preceding it. A hidden passageway for staff leads to a service hallway and stairs to the ground floor. 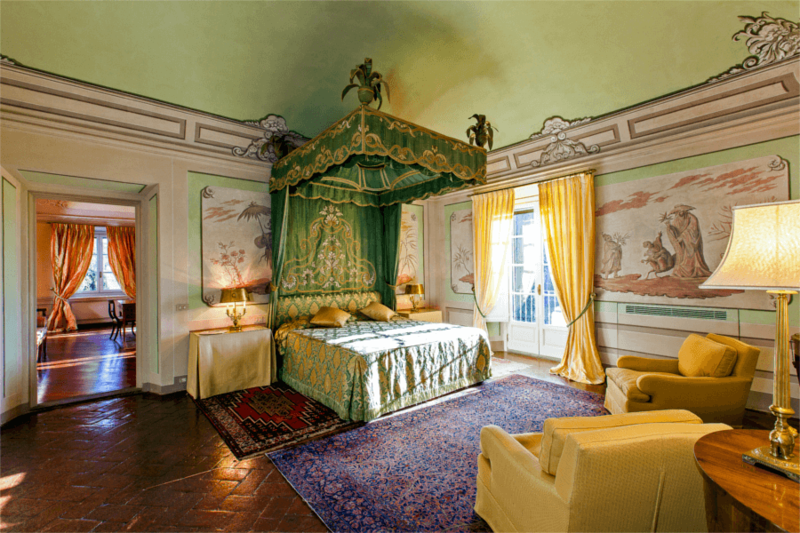 The Oriental Bedroom : This room owes its name to the frescoed walls depicting Chinese figures. It is the smallest bedroom but commands a central view of the villa’s park and lake beyond. Fallow deer, hares and other wildlife can be spotted roaming the estate. The Pink Bedroom : One of the more modern rooms in the villa, decorated with classic furniture and wood flooring. It is a spacious corner bedroom comprised of two single beds that can be joined together to make a double bed. An oversize sofa-bed may, if needed, accommodate a third guest. 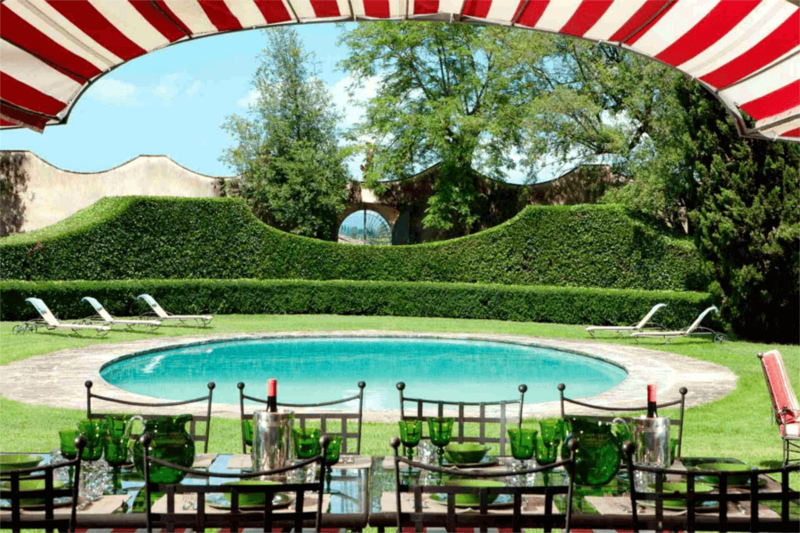 The villa’s swimming pool sits in the middle of the north eastern Garden. It was built in 1960 where the round corral previously stood. Built in the shape of an oval, the swimming pool measures 18 meters in length and 9 meters in width, and is just short of 3 meters in depth. 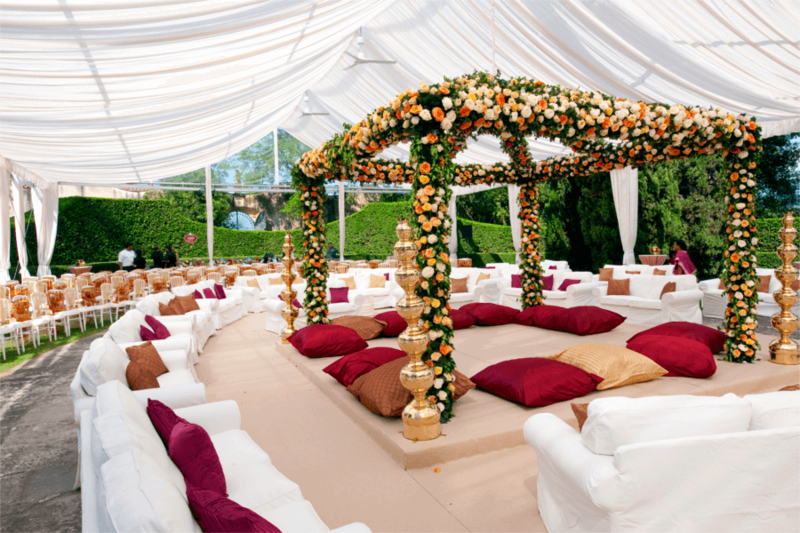 The luxury Villa is surrounded by two gardens which measure 1200 square meters combined. On one side of the property lies the swimming pool’s Garden. On the other side of the villa lies the Cedar Garden, named after the 300 year old Lebanon cedar that features prominently over it. 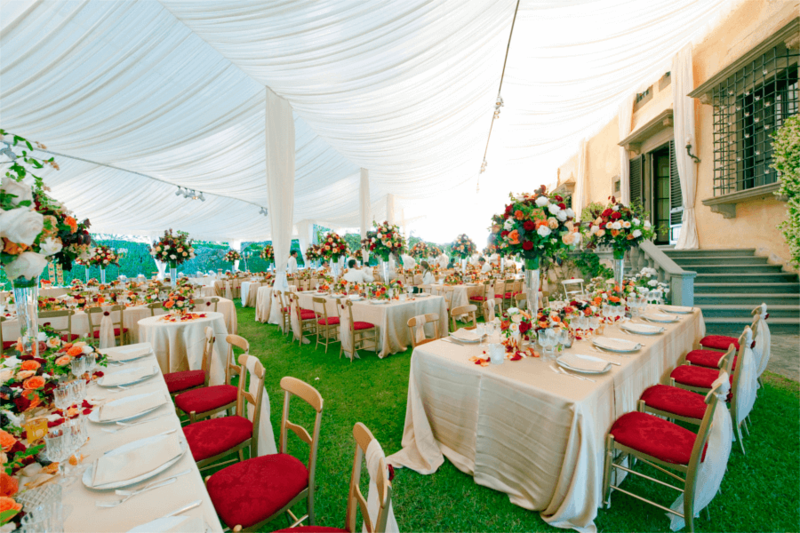 A tall hedgerow encloses the Cedar Garden’s English style lawn, the roses, potted plants and an al fresco seating area. The Villa is surrounded by an eleven hectare park. Historically the land was farmed as was customary for all landed estates. Nowadays, the olive tree plantation still stands the fruits of which go towards producing olive oil. At the foot of the hill lies an artifical lake that collects runoff rainwater. The Villa sits at the end of a 600m driveway lined with cypress trees. 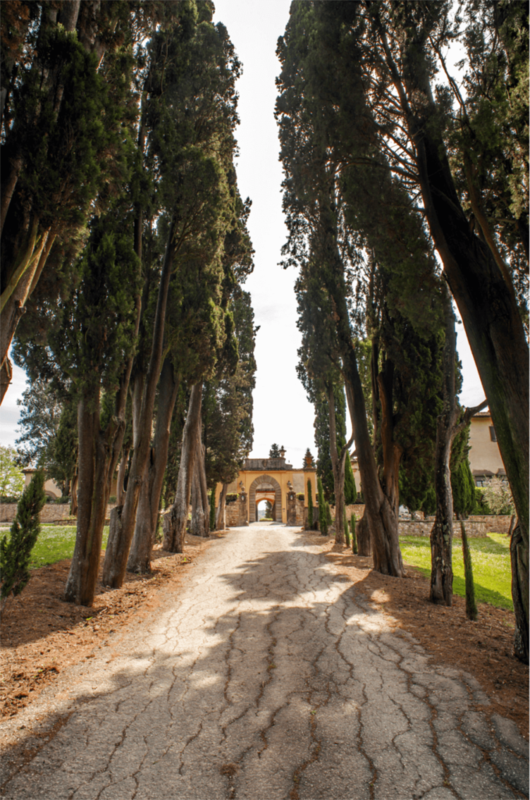 When the Antinori family first planted the trees in the 17th Century, they requested that only male cypress trees should be used, believing that they were more elegant and tapered than their female counterpart. They are now a protected landmark.